From farm to table! We received a dainty basil plant in our first farm share, so I used the silky basil leaves to make this fresh pesto. The petite summer squash in this week’s share also surprised us. 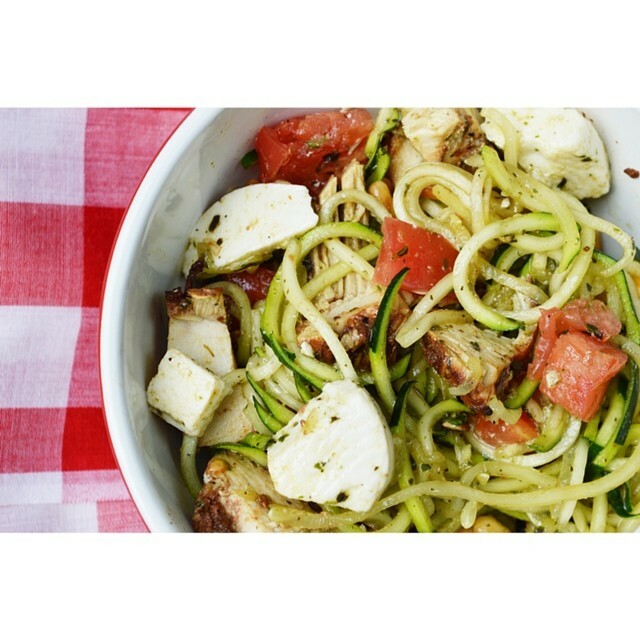 Obviously I spiralized the gourd right away to make zucchini noodles! Blend ingredients in a food processor or blender. Combine all ingredients in a bowl. Serve immediately. Store leftovers in the fridge for 3-4 days maximum.